The requirement of “effective seat” in CEAC Holdings Limited v. Montenegro: Are we moving towards a double-barreled test for protected “investor”? 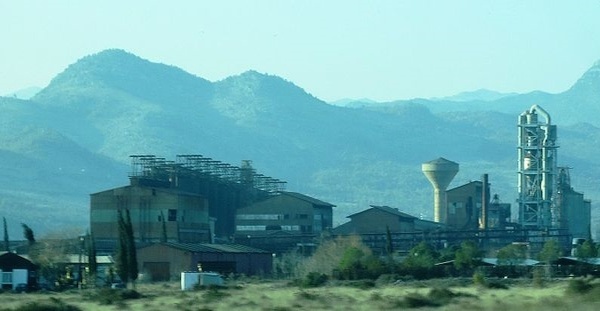 In a recent award issued in the case of CEAC Holdings Limited v. Montenegro (ARB/14/8, Award, 26 July 2016) the arbitral tribunal had to decide whether CEAC Holdings Limited (hereinafter: “CEAC”) was a protected investor within the meaning of the applicable Cyprus–Serbia and Montenegro BIT. The main point of contention therefore was whether CEAC really had “its seat” in the Republic of Cyprus. The Claimant insisted on a low threshold of a mere “registered office”, while the Respondent asserted that the threshold that must be met is a high one involving “management and control”. The tribunal however found that the evidence presented by CEAC – who bore the burden of proof – did not satisfy even the lower threshold proposed by itself since it failed to show that it had, e.g., any premises of its own at the claimed address which had been open to the public. This approach needs to be compared with BITs providing merely that a qualified investor is one who has his place of incorporation in the territory of the home State. For instance, in Tokios Tokelės v. Ukraine (ARB/02/18, Decision on Jurisdiction, 29 April 2004) the tribunal recognized that “the Claimant is an ‘investor’ of Lithuania under Article 1(2)(b) of the Ukraine-Lithuania BIT based on its state-of-incorporation.” (Ibid., para. 43). Consequently, when the parties to the BIT have referred merely to the place of incorporation of the investor it is not the for the tribunal to retrospectively replace their expressed will by importing interpretations requiring effective management or control. Similarly, when determining the relevant threshold regard must be had to the particulars of the respective corporate claimant (e.g., whether its chosen corporate form presupposes lesser on-site activity) and in any event, caution must be exerted so that arguments deriving from awards dealing with additional requirements such as “real economic activities” are not transposed to cases in which the applicable provisions require mere “place of incorporation”. Given the multitude of approaches used by previous tribunals the question arises whether we are moving towards a double-barreled test requiring that to qualify as a protected “investor” the claimant must satisfy not only the elements enumerated in the applicable BIT but also other elements deriving from arbitral practice as is the case with qualified “investments” which need to satisfy not only the requirements of the BIT but also those of the ICSID Convention since the latter was intended to protect only qualified investments and not ordinary commercial transactions. In this respect, one last observation needs to be made. In CEAC v. Montenegro the tribunal determined that the critical date for determining the existence of a seat is the date of filing of the application. Admittedly, the text of the Convention requires a form of continuous nationality only in respect of natural persons, but the omission regarding juridical persons could be explained by the fact that the drafters desired to emphasize that no subsequent date is to be taken into account since in those cases in which “foreign control” is involved (See Article 25(2)(b) in fine) such control may have been excluded by the expropriatory act, i.e. by taking the shares in a given company the host State may strip it of foreign control and thus paralyze the claim. It would therefore be interesting to see whether future tribunals would apply the same approach to the critical date as the one used in CEAC v. Montenegro.